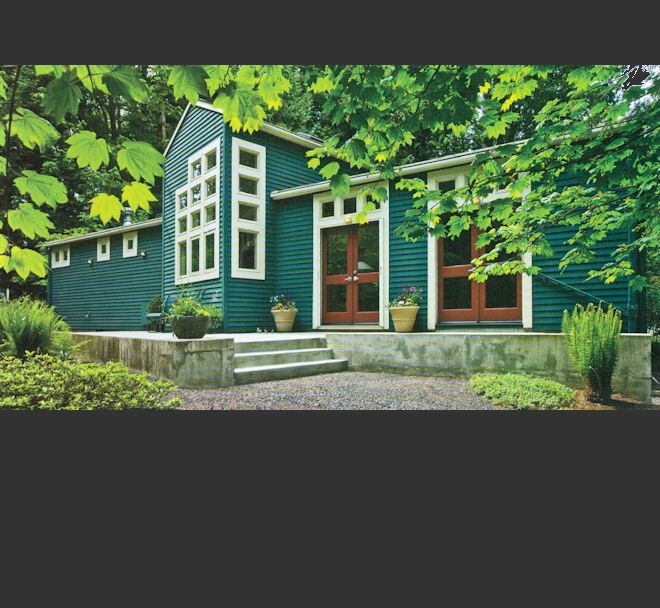 - Better Homes & Gardens, Building Ideas For Your Home Edition, Fall 1997, "Simplicity by Design"
This Northwest contemporary house was designed to suite the owner’s needs while taking into account the view of the woodland site and maintaining privacy. The house has two wings. The larger wing contains living areas and master suite, with great views of the site. The smaller wing incorporates bedrooms with more privacy. A gallery spine bridges the two wings, leading to the great room, and is part of the focal point of the outdoor courtyard.